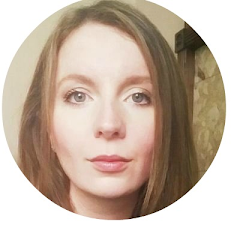 I know this is a beauty blog, but I am feeling the need to extend that definition somewhat: perhaps we can call it a 'beauty and beautiful things' blog, and I'll make a promise not to do what we in the project management business stupidly call 'mission drift'. That's a very silly and roundabout way of saying that a project has gone right off topic and become something else entirely than what it set out to be. Beauty will remain the core component of this blog, but I will need to occassionally throw in something that gives me a much-needed style-fix. 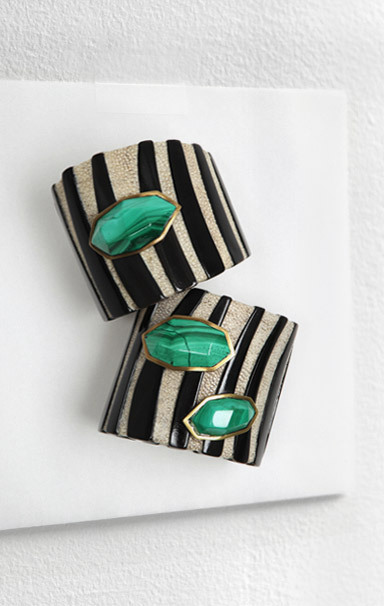 And what better place to start that with these R&Y Augousti Shagreen and Malachite cuffs? The black and white make me think of delicious mint humbugs, and the green...well, that's just gorgeous. They're the kind of easy luxe piece that you can throw on and instantly up the glamour of any outfit, and my, do I love a cuff. Prices start at $275 from Barneys, NY, and I shall now be investigating whether they exist here in the UK!